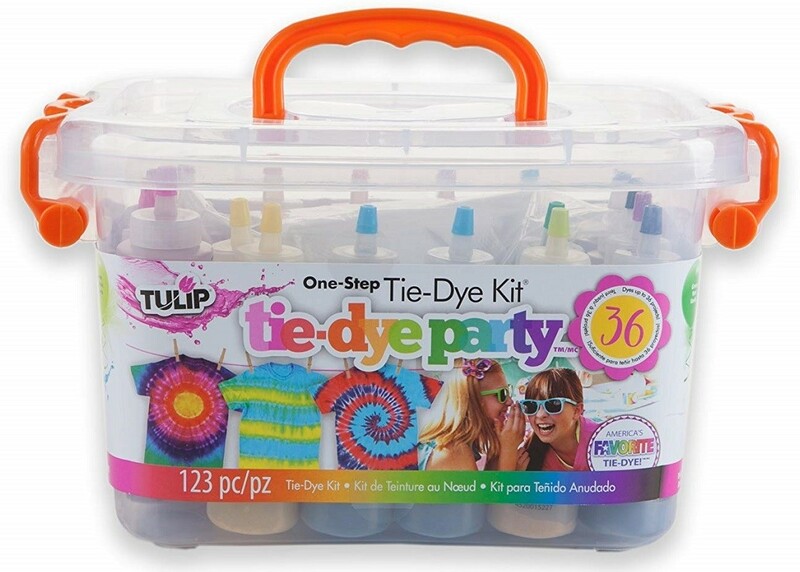 Throw the ultimate bash with this all-inclusive Tulip Tie-Dye Party Kit that's bursting with bold, colorful fun! 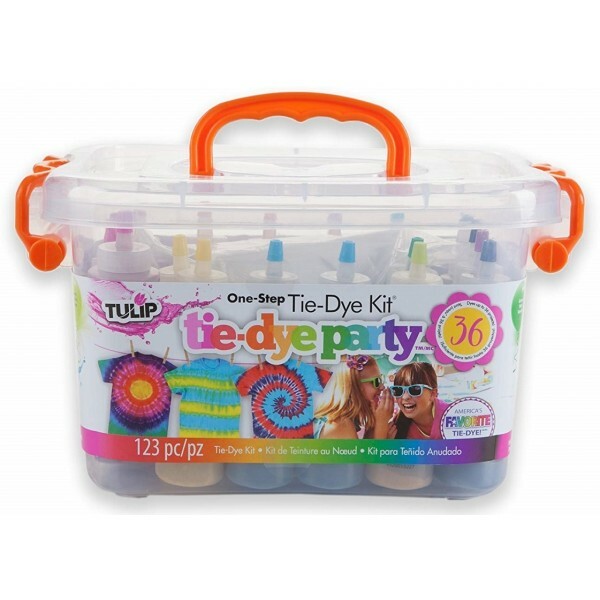 Stocked with 14 vibrant dye colors, gloves, rubber bands, a plastic surface cover, and inspiration, this party pack is perfect for sizzling up summer camps, fun at family reunions, backyard bashes and more. 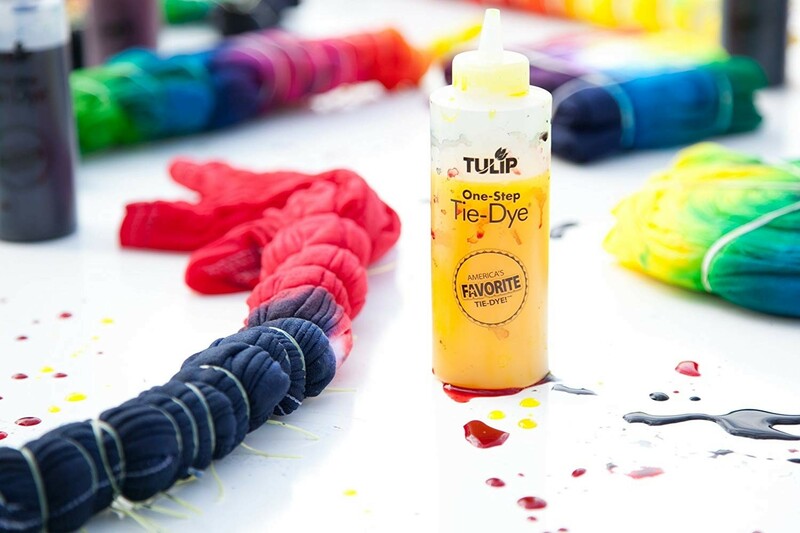 Included in the set are enough materials to dye up to 36 projects, all with Tulip's one-step tie-dye which requires only water to activate — no need to presoak fabrics in soda ash before dyeing. 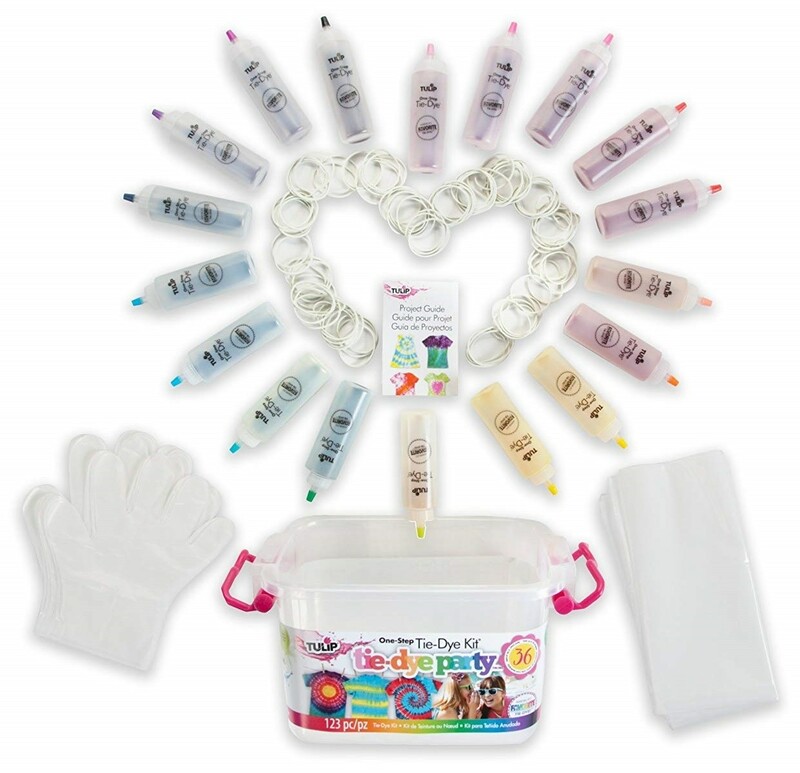 The dyes are also safe to machine wash, staying bright and colorful! Use 100% natural fabrics to get spectacular results you can enjoy for years to come.